Double-post spam... - My journal. Yes. 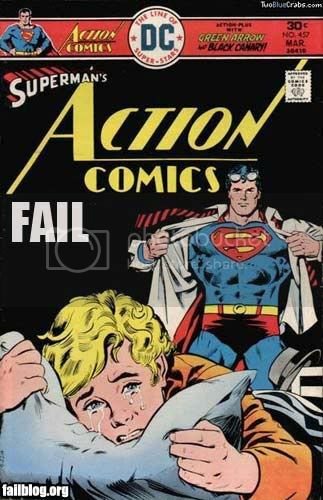 OK. To make up for my giant post of whine about my old job, and to celebrate the fact that my cold is finally gone enough that I feel almost human, I present to you a scan that was recently posted at the Fail Blog, that illustrates How Not To Draw A Comic Book Cover. If fan fiction about this exists, I do not want to know about it.